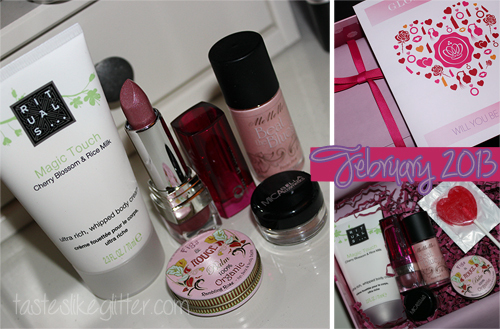 As Valentine's day is soon approaching, GLossybox bring us the 'feel the love' box*. Scented faintly with cherry blossom, this smells so good! It's ultra whipped makes the cream have a light thing texture that sinks into the skin quickly. This contains ingredients that are good for the skin and really help to nourish it and keep it in tip top condition. The last time I tried Miners was probably when I used to get nail polishes from Claire's when I was at primary school. This lipstick seems good but the colour and finish doesn't suit me at all. It's a light tan colour with a hint of pink. It looks odd on my colouring and it's packed with micro glitter which make it look very frosty when applied. Though it goes on easily and has a slightly sweet scent. For the price I expected the typical lipstick smell that nobody likes! This is just like Benefit's High Beam, it has the same type of nail polish applicator but a fraction of the price. Comparing them the formula on this seems a little thinner, a touch more pink toned and not as high shine but layering can bring up the opaqueness. I really don't think the differences are that much of a big deal though. 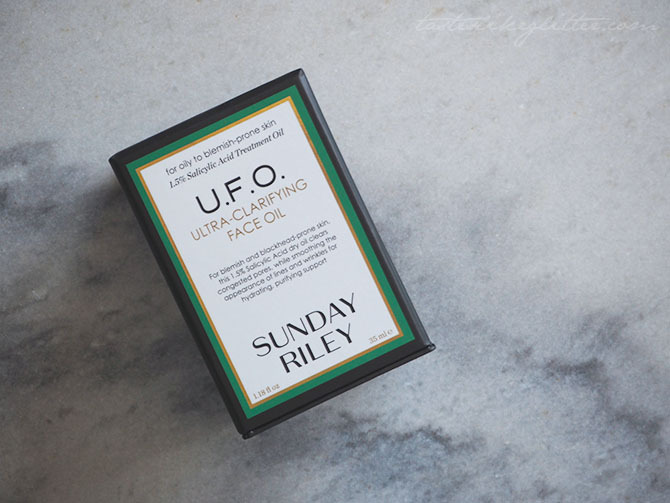 It's perfect for dotting along your cheek bones and brows to give you that glowy look. Compared to High Beam (£18.50 / 13ml) you're getting a super good deal if you can't afford the higher end version. This is one of the products that will last you forever because you only need the tiniest amount. This is a lovely golden brown, very shimmery. Usually not a fan of those sort of colours but I can see this looking amazing in a smokey eye. Whilst it can be used wet, the colour payoff dry is still amazing. Apparently the formula is waterproof but I'm assuming that's only if you foil it? Who knows. I first tried the Cherry & Vanilla in last April's box. I also went onto pick up the Coco Vanilla. I adore these! This smells just like you've opened a fresh box of real turkish delight. Which I don't actually like but I love the scent. These have a very odd texture in the tin. I'm not quite sure how to describe it. Most of the ingredients are oils which melt on contact, you don't need to use a lot and it glides over your lips leaving a glossy finish whilst hydrating them and leaving them super smooth. It can also be used on other dry bits of the body. Bar the lipstick colour I think this is a rather fabulous little gift to keep your skin feeling good and your make up even better. The perfect balance between skin and makeup, I feel.